It is a question that comes up constantly and there is no cute, easy answer. You have different types of consumers, the “cheapest thing that goes bang” genre, folks that want the best ammunition on the basis of consistency and performance, and incremental steps in-between. The shotshell business is extremely competitive: to get the cost out of the shell there is only so much you can do. Despite record sales of firearms, Winchester (Olin) has been struggling a bit as of late. Winchester sales were $738.4 million for 2014 compared to $777.6 million for 2013, a decrease of $39.2 million, or 5%. Winchester sales were $711.4 million for 2015 compared to $738.4 million for 2014, a decrease of $27.0 million, or 4%. 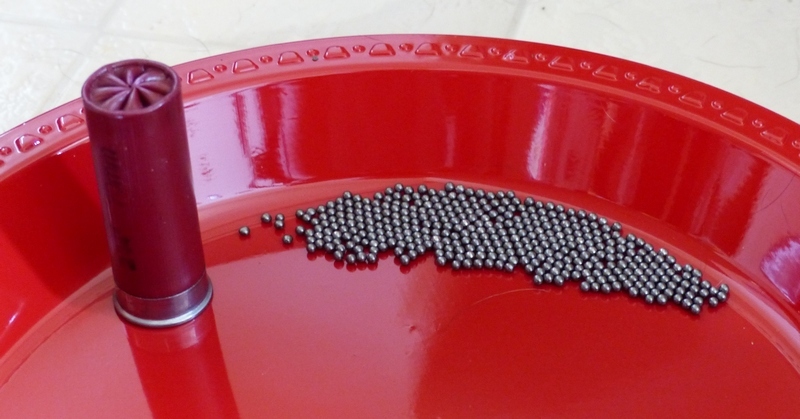 For reloading purposes, Remington STS hulls in 12 gauge and 20 gauge have no equal. Only three domestic hulls have corrosion-resistant brass heads to their hulls, that make for easier extraction and less ejection port erosion on alloy-receivered autoloaders: Remington STS, Federal Gold Medal, and Winchester AA. Brass contracts slightly after firing and has less friction than stamped steel making extraction easier, it is also softer than the stamped steel heads: easier on ejection ports and easier to resize as well. 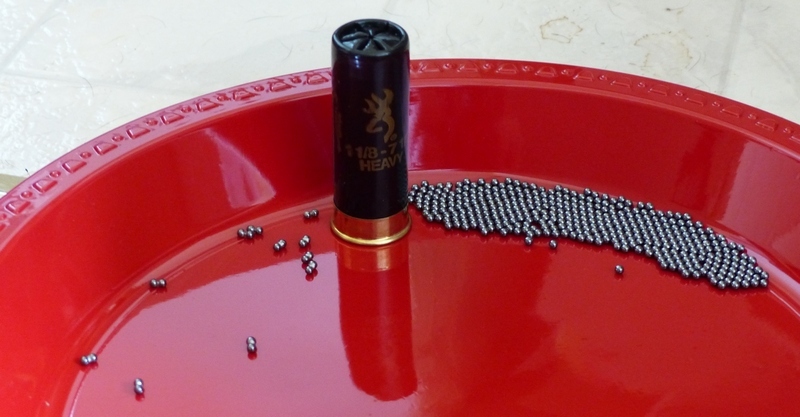 Though it is hard to make the case that reloading target shotshells is of great economic benefit today, it obviously is not, the bulk of my reloading has been through a pair of MEC 9000G progressive reloaders, one each in 12 gauge and 20 gauge. Most of the recent, extensive patterning I've conducted has been with pheasant and turkey loads. It isn't much surprise to anyone that a wild turkey nets far more respect from ammunition, chokes, and the resultant patterns than a dove or a piece of clay. Even pheasants don't seem to get much attention by comparison, for although the limit is just two wild roosters per day in Illinois, ammunition cost is a very small component of pheasant hunting expenditures, many folks just don't seem to care all that much about what they hunt with. It is lamentable, but that's the way it is. For target loads, there are four main players that come to mind: Federal, Fiocchi, Remington, and Winchester. There are many others, of course, that don't have widespread distribution or availability. Although we don't like it, ammunition has to cost something. The question is when, for example, you might be buying Federal Top Gun loads at $5.48 per box (current Plainfield, Illinois price), what do you actually get by going from about twenty-two cents a shell to spending an extra nickel or dime per shot, and is it worth it to you? 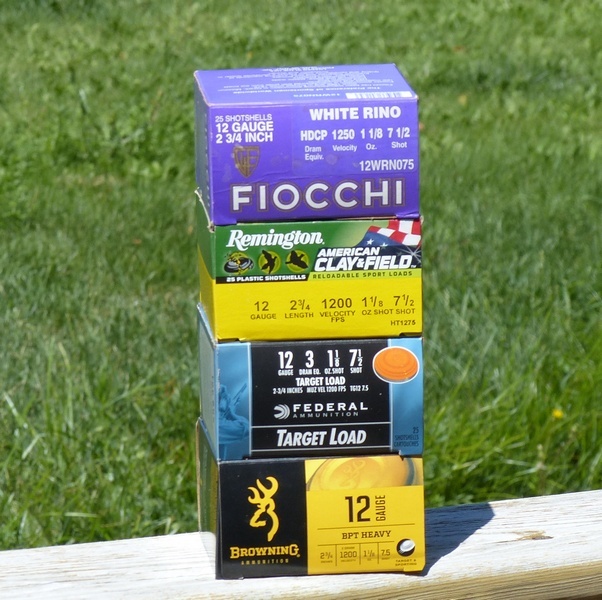 For starters, I'll take a look at four widely available loads, two that are familiar (Federal Top Gun and Fiocchi White Rino) and two loads that are new for 2016: Remington American Clay & Field and Browning BPT loads. Antimony content is what makes lead shot hard. As antimony runs about 6-7 times the cost of lead, high antimony shot adds significantly to the cost of the shell. The Federal Top Gun shell is a Riefenhauser hull with a stamped steel head. Shot hardness testing conducted by Neil Winston shows that Top Gun shot (sometimes claimed to be 4% antimony) is softer than than the 6% Gold Medal / Federal Paper shot. The Top Gun hull is reloadable, but a “once and toss them” affair as far as I'm concerned. According to Federal (as of July, 2016) Top Gun shells are 3.5% antimony while Gold Medals are 5% or greater. The Fiocchi White Rino is part of the Fiocchi “Exacta” line, using 5% antimony shot, Alliant propellants, and a Riefenhauser hull. They have been very consistent, excellent performers for me over the years. The crimp is 8-point for 12/20; 6-point for 28 and 410. The Browning BPT loads are not Browning product at all, but just applying Browning logos and Browning-inspired packaging to Olin-Winchester product. Frustratingly, Winchester claims the antimony content is proprietary (translation: they are relatively low-antimony at around 3% or less), the shells are not reloadable, but they have cosmetic appeal. Federal Top Guns at an appealing price point, but the shells themselves are not wonderfully consistent. With a Modified Choke at 40 yards, one shot can throw a 58% pattern, with the very next shell throwing 68%. That is exactly what is demonstrated on video here: https://youtu.be/4lLkh7NP5ig . Inside the Top Gun hull, the shot does vary in diameter somewhat, a few pellets are deformed, but still the Top Gun shot is far better than average for an economical shell. Browning BPT loads are attractively packaged, good for those that are addicted to the Browning logo perhaps, but they are lackluster shotshells. The shot is, to put it mildly, of stunningly miserable quality. 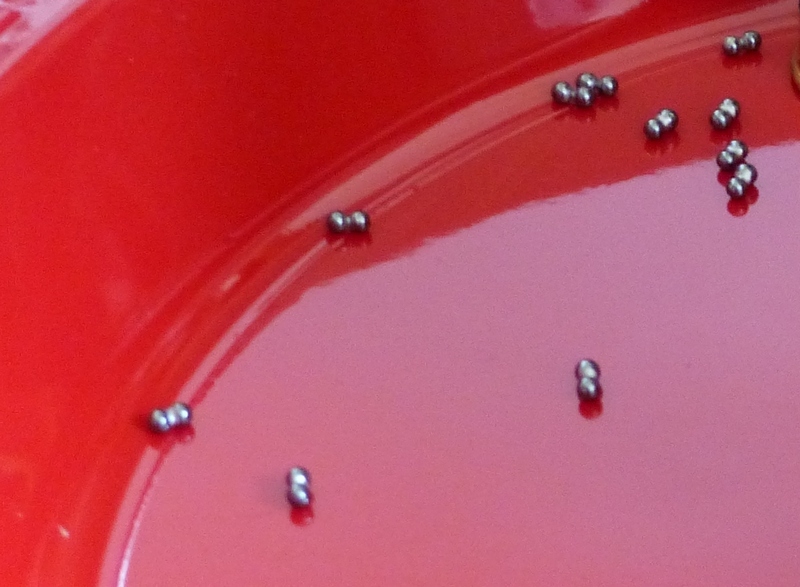 Not only do the pellets vary widely in size, but numerous pairs of pellets are welded together. It is the nastiest, most random collection of pathetic junk-level shot I've seen in a shotshell for some time. These pellets could not possibly have been screened. Fiocchi White Rino loads in times past have been excellent, both consistent and throwing high pattern percentages. The shot is more consistent than in most shotshells as well, but there were just a couple of larger diameter, grayish-looking pellets per shell. The Remington American Field & Clay loads has easily the best-looking, most consistent, most uniform shot, beating out the Fiocchi shells. In the next installment, we will look at pattern performance: http://www.randywakeman.com/WhoMakestheBetterTargetandDoveShellsPartTwo.htm .